Just because the sun is up, doesn’t mean you can’t indulge in a heavily embellished wardrobe. This season, everything from glitter, to studs and deconstructed denim is on the cards to dial up the glamour on your daywear. Start off with something a little bit fun and totally on-trend. This Flamingo Print Sweater by Zoe Karssen is just the ticket. We never knew just how much we wanted a bright green jumper, covered in glittering flamingos, until we saw this investment sweatshirt. Bored with the same old staples? All you need to vamp up your wardrobe with a little rock’n’roll is the Dalaki Studded Dress by Diesel Black Gold. Zips and studs shake up a classic LBD that will see you go from 9 – 5 and back again in one stylish step. Just add high tops or slip on trainers for a sleek fashion finish. 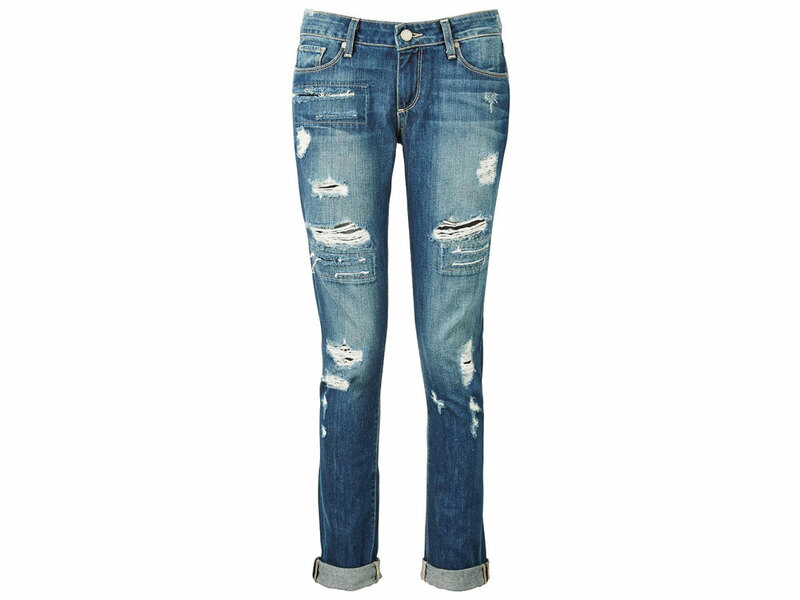 We’re sure you’ve noticed that ripped and distressed denim is everywhere this season, so jump aboard the trend with Paige Denim’s Jimmy Jimmy Jeans. A relaxed fit and worn-in finish make these your new go-to staples for relaxed summer dressing.